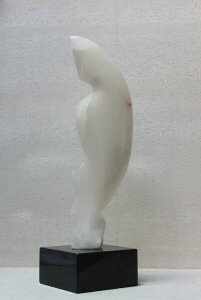 Manasafish is a unique sculpture carved by Marko in Tuscan Alabaster from Italy on a polished black Kilkenny marble base. Measurements: H 54cm x W 13cm x D 6cm. 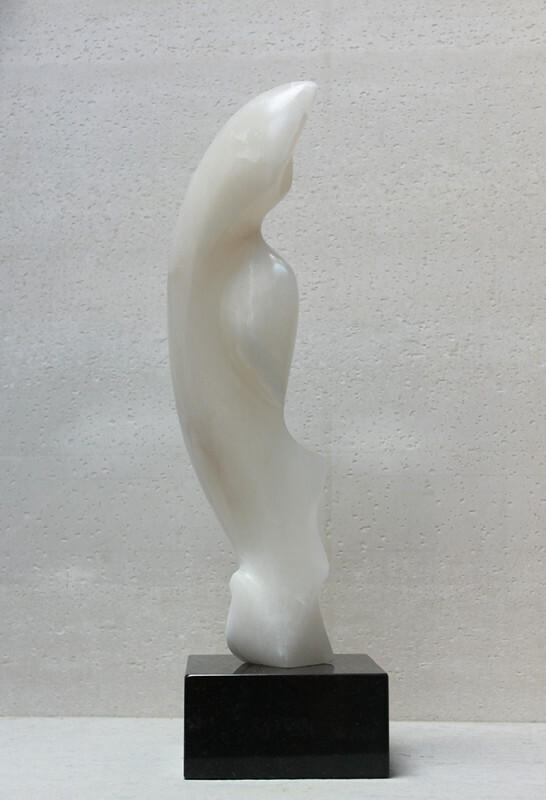 This sculpture is now Sold.